Sometimes food is just fuel — something you shovel into your mouth to get you through the day. But increasingly, if consumers are going to bother to put on their shoes and go out to eat, they want it to be an experience, ideally shared with friends or family. That’s why shareable snacks have become such a phenomenon. “It’s a lot of fun as a group to sit down and try different things,” said David Danielson, who is executive chef at the Churchill Downs racetrack in Louisville, Ky., as well as chef-owner of The Old Stone Inn & Tavern in nearby Simpsonville, Ky.
At the racetrack’s premium Turf Club, he offers dishes that are simultaneously adventuresome and approachable, like flatbread topped with duck confit, red wine-blistered grapes and oyster mushrooms, or wild mushroom arancini, or risotto balls, with Arrabbiata sauce and saffron aïoli. Similarly, at Old Stone Inn, he offers variations on local delicacies, like grits with local ham rolled into fritters, fried and served with green goddess dressing, priced at $7. He also offers bacon-pecan pimento cheese with pork rinds, for $9. “People are like, ‘Oh my gosh, I’ve never had pimento cheese like that before.’ It’s a great conversation starter,” Danielson said. Snacking in restaurants is big business. According to consumer research firm The NPD Group, snacks between meals and after dinner account for 23 percent of all restaurant traffic. Josh Thomsen, executive chef of Rick Erwin’s Eastside in Greenville, S.C., recently re-did the bar menu after noticing that his guests, many of whom work at large corporations nearby such as Bausch & Lomb, BMW and Michelin, often come in on the way home, just to meet and blow off some steam from the day — sort of like Cheers, but for the upper-middle class. “The shareable stuff just made more sense than the appetizer for the individual,” he said. Like Danielson, Thomsen has a line of flatbreads, including one with ricotta cheese spread, oyster mushrooms and chile flakes that he bakes and then tops with Parmesan and a sous-vide poached egg. That’s priced at $13. “The server just cuts the egg and it oozes out, so everybody loves that one,” he said. 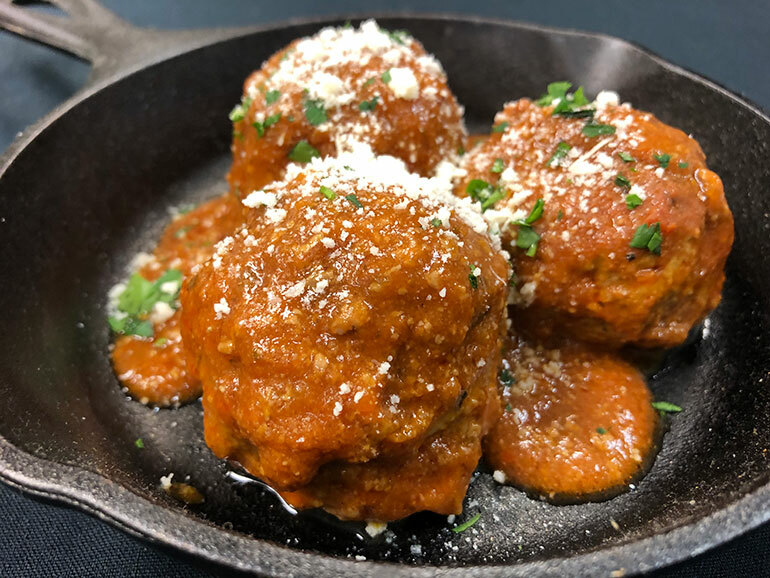 He adds romance to the dishes by using local ingredients, such as his meatballs made with local bison, cooked in a cast-iron skillet in tomato basil sauce, and local brie that is baked, topped with pepper jelly and served with toasted baguettes. His salt cod fritters — basically a classic French brandade rolled into balls, breaded and fried — clearly aren’t from local fish, but he serves them in the wooden boxes the fish is delivered in, labeled with the fisherman’s name. Those are $10. “Nothing’s boring,” he said, and that means his guests can stop talking about work or sports or politics for a change. Thomsen said it also can help them make new friends. “You see people that weren’t part of the group being offered bites,” he said. Thomsen said he’s planning a similar approach with Saltwater Kitchen, a new restaurant he’s opening in late winter or early spring in Greenville. Gabriel Freeman, executive chef of Scofflaw in Chicago, said shared food can help create shared memories, something his younger customers crave. “A lot of food is attached to memory, and attached to the experiences that you had at home growing up,” he said. But big family meals are a lot rarer than they once were, he said, so instead they get comfort sharing food with friends in restaurants. So he makes food that’s fun to play with, like roasted bone marrow that he serves with baguettes, grapes, hon shimeji mushrooms and black garlic sauce, priced at $12. 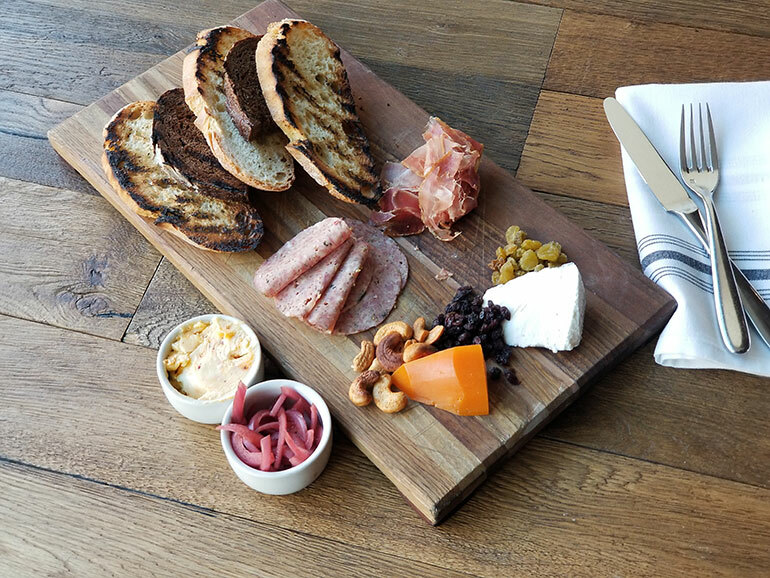 Charcuterie and cheese spreads come with a wide range of condiments such as spiced honey, pickles and mustards for the same reason. Similarly, he serves carpaccio with pea tendrils, chile oil, fermented black bean paste and fried shallots topped with shaved bresaola instead of traditional Parmesan. That dish is $10. “Our carpaccio dish is good for sharing because it’s spread out on a plate,” he said. “It’s fun to eat together like a communal dish.” Dishes involving dips are fun, too, he said. Chef de cuisine Jeremy Nelson tries to keep the food approachable but still a little surprising at The Violet Hour, the high-end Chicago cocktail bar that’s part of Paul Kahan and Donnie Madia’s One Off Hospitality group. So they’re delighted to find sliders made from local Slagel Family Farm’s beef, served simply with cheddar cheese on brioche with Sriracha coleslaw, priced at $10, or shishito peppers stuffed with shiitake mushrooms and tofu, tempura fried and served with whipped goat cheese, pomegranate arugula salad and shaved prosciutto, for $8. 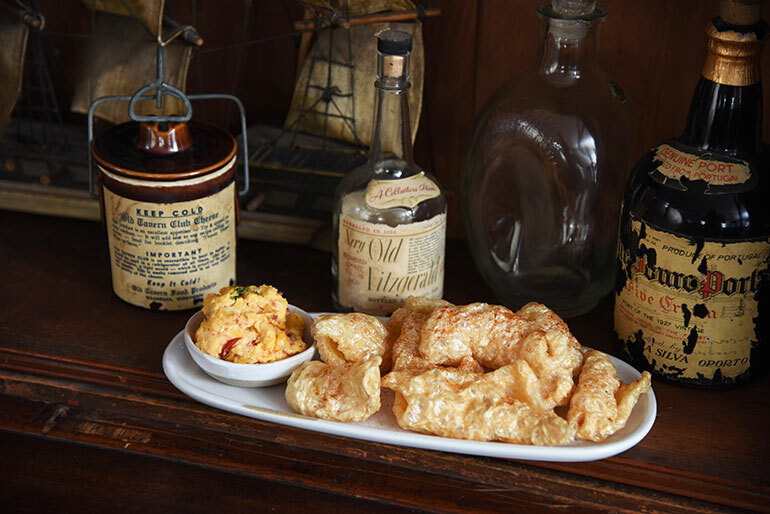 A $6 item that’s just called Bar Snacks is made with puffed beef tendon, similar to chicharrones, nuts candied with fall spices and puffed hominy that’s dehydrated and fried. “Basically, we’re making corn nuts,” Nelson said of the hominy. Simplicity and surprise are also the name of the game for the potato chips at The Rotary in Denver. Chef and co-owner Don Gragg slices russet potatoes on a mandolin, rinses them and soaks them overnight to remove the starch. About 45 minutes before frying them he adds some vinegar to the water, which helps to make them crispier, then strains them and fries them in peanut oil. 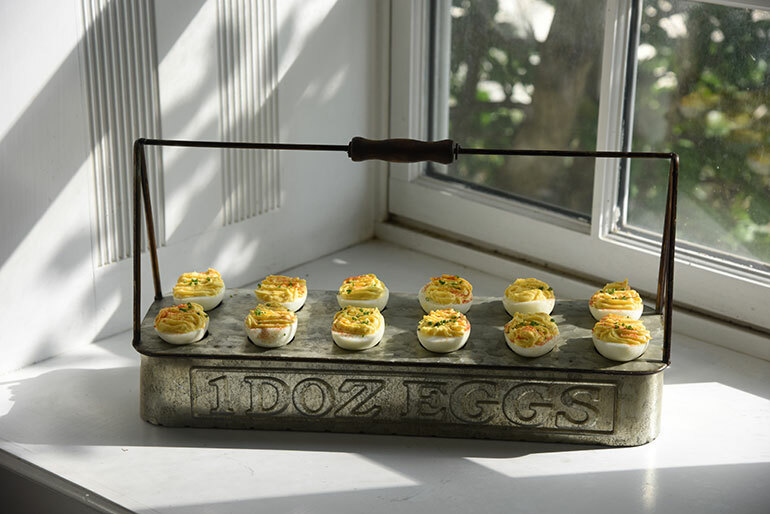 He keeps them warm throughout the day by storing them over the rotisserie and then picks them up in brown butter and tops them with lemon, shaved Parmesan, microgreens and herbs such as parsley, fennel fronds and chives. Each order is $5. Of course, bar snacks also can be a way to use items that already are in-house. Steve Sturm, executive chef of Firebirds Wood Fired Grill, a 49-unit casual-dining chain based in Charlotte, N.C., said he tries to work with ingredients the chain is purchasing anyway “and push the envelope in terms of flavor trends,” he said. Since these sharable snacks are less expensive than entrées, and not the only thing a guest is likely to eat during a visit, they require less commitment both in emotional and dollar term, so they can be testing grounds for bolder flavors. 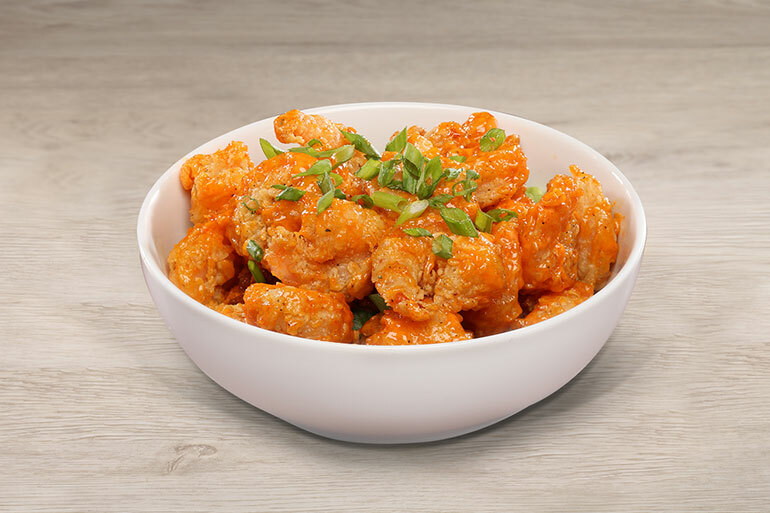 So he offers cauliflower tossed in buttermilk, dusted in flour, fried and topped with Thai chile sauce, toasted pumpkin seeds and green onion. That dish is $8. For the carnivores, he uses the trim left over from the chile-dusted beef tenderloin entrée, grills them over wood and serves them in a three-cheese quesadilla. 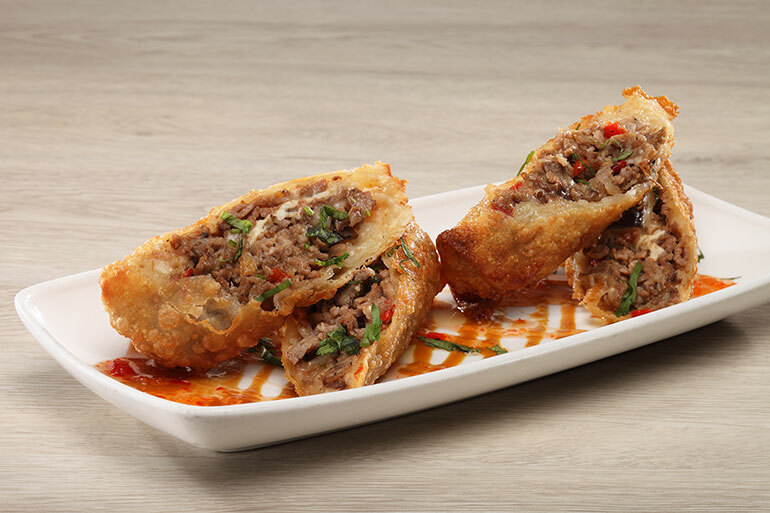 Similarly, trim from the prime rib becomes Philly cheesesteak egg rolls. “You take a familiar product and put it in a completely different format. It makes it exciting,” he said, while not making it so unfamiliar that it makes people nervous. 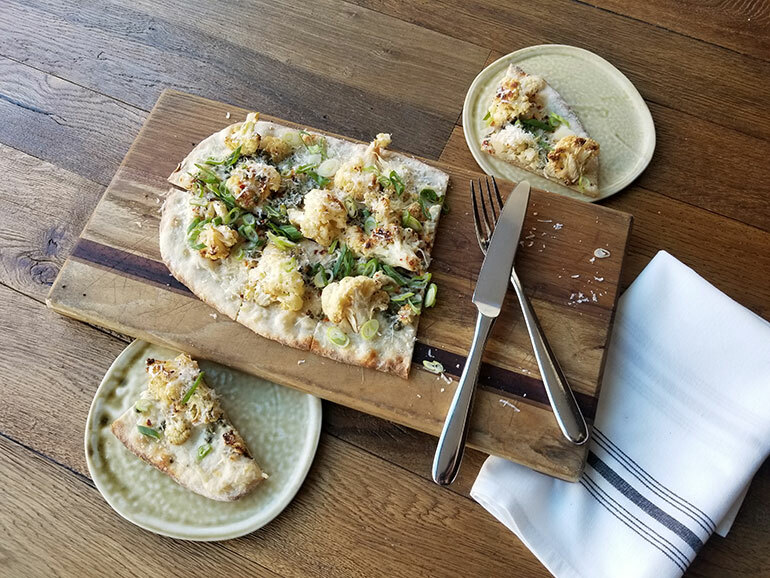 Cauliflower is also a hit at Avelina in Denver, where executive chef Josh Oakley puts in on flatbread with béchamel, spicy breadcrumbs, caramelized onions and capers. It’s priced at $13.50. “It’s kind of a different take on the situation,” he said. He also has a rotating charcuterie board and other items that can be eaten easily without silverware or much fuss. 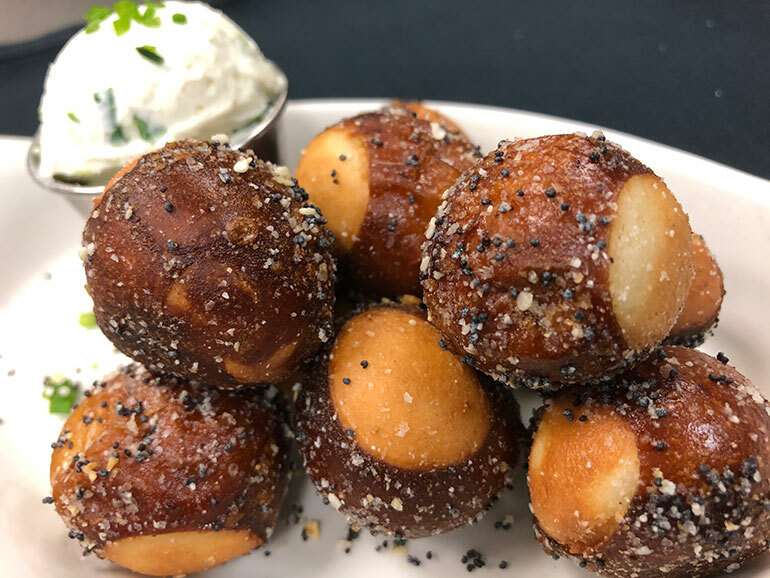 Apart from his hummus with red bell peppers, chipotles and micro-cilantro served with naan, Oakley said all of his bar snacks are easy to pass without spilling. Last year, Rosa Mexicano, an upscale 11-unit chain based in New York City, introduced a Botanas, or snack, menu at the bar. “It’s a fun way to have something authentic, and share a bar item or two with a couple of guests,” said Joe Quintana, regional executive chef for the chain’s four New York City locations as well as the units in Hackensack, N.J., and Boston. 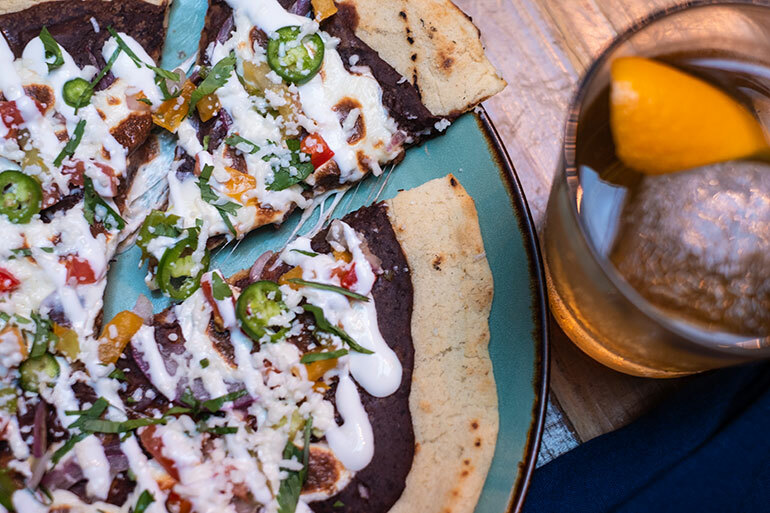 Among the new items is the Tlayuda, a sort of tostada spread with spiced black beans, Oaxaca cheese, onions, pico de gallo and queso fresco, priced at $8. The 3 Feet of Tacos, tacos is also a big hit, he said. Comprised of 12 tacos served in grooves on three-foot-long boards that also contain salsa and limes, it’s a show-stopper, Quintana said. Each board is $48. “When you come out with this board, there’s not one person who doesn’t look and ask, ‘What is that?’” he said.